Leslie A. Ellis, CPA, MSA, CGMA - Glickstein Laval Carris, P.A. Leslie Ellis has been in public accounting, and with the firm, since 2004. She serves as the firms Audit Manager and works with small businesses in the areas of audits, review, compilations and tax preparation. She has extensive experience at auditing not-for-profit organizations, condominium and homeowner associations, and 401(k) plans. Leslie also holds the designation of Chartered Global Management Accountant. Leslie graduated from the University of Central Florida with a Bachelor of Science in Business Administration (Accounting). She later graduated from UCF with a Master of Science in Accounting degree. 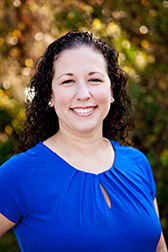 She is a member of the American and Florida Institutes of Certified Public Accountants, the FICPA Common Interest Realty Association Section and serves as the Treasurer of Community Associations Institute, Mid Florida Chapter.